Congratulations from ukhh.com to Son Records for making it to a landmark 50th release, not something many UK labels can profess to nowadays, especially as the vast majority of those 50 have been in physical (and even vinyl) format. – features unique spray-paint artwork. – the lp itself is a high-quality pressing and has been mixed by mark gamble & styly and mastered by miles at metropolis studios and sounds incredible. 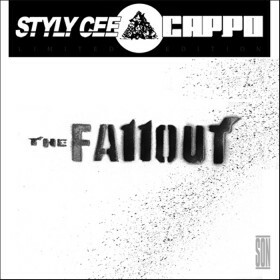 – both cd and lp feature original artwork hand-illustrated by cappo.